I’m addicted to my rss feeds on google reader. I always read the food blogs folder first (even before my “celebrity gossip” selections — sorry Perez Hilton, food always trumps pictures of bald Britney and her adventures in rehab). One of my favorite cooking blogs is Slashfood. 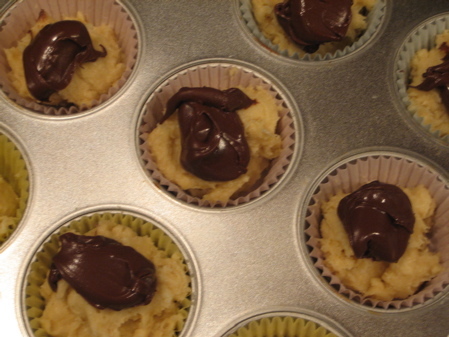 I’m pretty sure I audibly squealed when I saw a link for Nutella cupcakes aka Self-Frosting Cupcakes. I’d just picked up a jar of Nutella at the grocery store and realized it wasn’t really my cup of tea spread on bread. However, I was perfectly certain that it would be an amazing ingredient in a recipe. 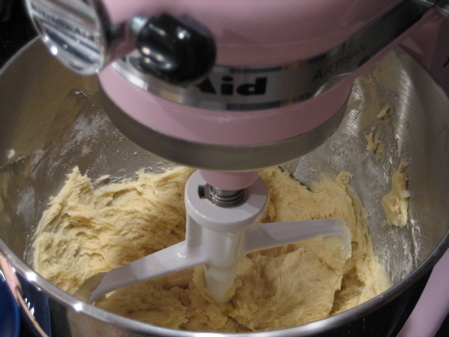 I’m always looking for any excuse to use my pretty in pink KitchenAid mixer so I promptly whipped up a batch. 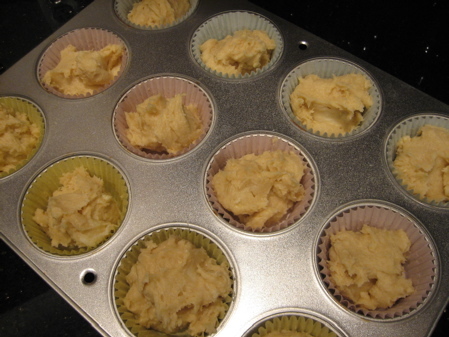 While my cupcakes aren’t as aesthetically beautiful as the images at the Baking Sheet blog, they smelled heavenly in the oven and tasted amazing. But really how can you go wrong with sugar, white flour, chocolate and hazelnut? 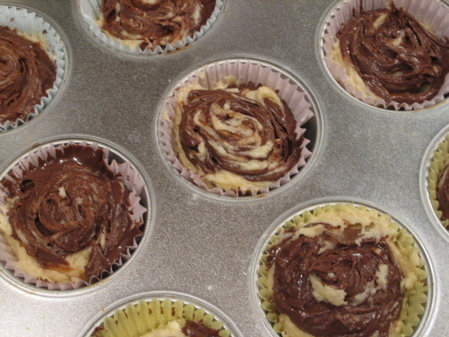 If I ever make these cupcakes again I definitely would use a little less Nutella as I think I went a bit overboard topping the batter as it made for a messy challenge trying to make attractively swirled tops. OMG those look amazing! Great Idea! Thanks Erin! delish looking! ironically i made a martha stewart chocolate swirl bread this weekend that looked remarkably similar, just in bread form. and sans nutella. 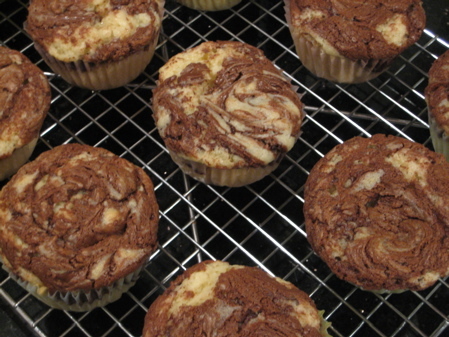 The nutella cupcake idea is wonderful! Thanks for the awesome pictures, too. (I’m a really visual person, so I just love your recipes. =D) I have some Hazelnut powder (kind of like I think of Hershey’s cocoa powder, but hazelnut…) laying around somewhere… Been thinking about trying your recipe, but with a hazelnut topping (I’m thinking of something similar to a cream cheese or buttercream topping) spread over the cupcakes. Beautiful cupcakes! I love Nutella but I don’t really like it spread on bread either. But it’s soooooo good in desserts! Did yours come out kind of dry? Mine were kind of dry. Fish – No, they were very moist actually. It seems that everyone has had vastly different results from that recipe though. I cant wait to make these. Your blog is really cute!